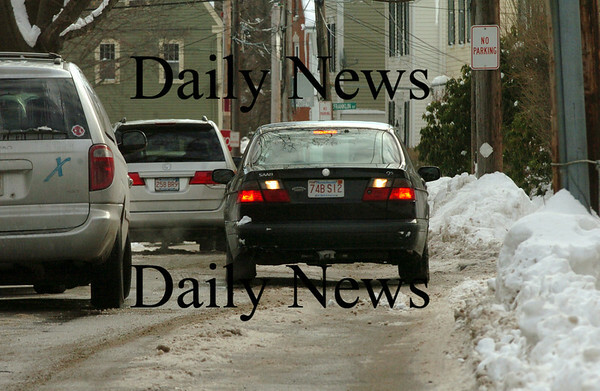 A driver backs his car up on Milk Street in Newburyport in front of the Brown School as two vans, one of of view, are parked close to the middle of the street with little space to get by. One compact car barely made it through minutes earlier, but an oil delivery truck or fire engine would have found passage impossible. The south end of Newburyport is usually hit hard by the parking situation when there's a huge amount of snow as space is tight to remove it.